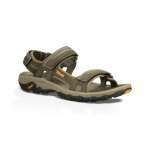 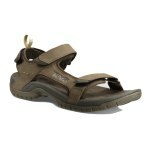 The Teva Men's Hudson Sandal is a fantastic lightweight sandal that offers comfort and support ideal for everyday wear and travelling. The Hudson's have a smart leather looking upper and offer a brilliant level of Teva comfort and quality thanks to the fact that you can personalise the fit with the three point Velcro adjustment system. 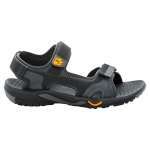 Teva have used a Durabrasion rubber sole for these walking sandals which offer a solid balance of performance and durability ideal for walking around town, travelling and for strolling along the coast this summer.